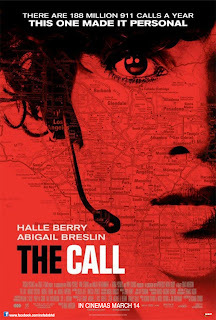 After last week's horrifyingly disappointing Dead Man Down that promised a good show from an exciting trailer, I contained myself through the good trailer to this movie I call...The Call. Boy am I punny. Picture credits: Stolen off my work folder. I'm sorry, supervisor. I still love you so please don't kill me for this. See? I wasn't kidding when I said it was named The Call. 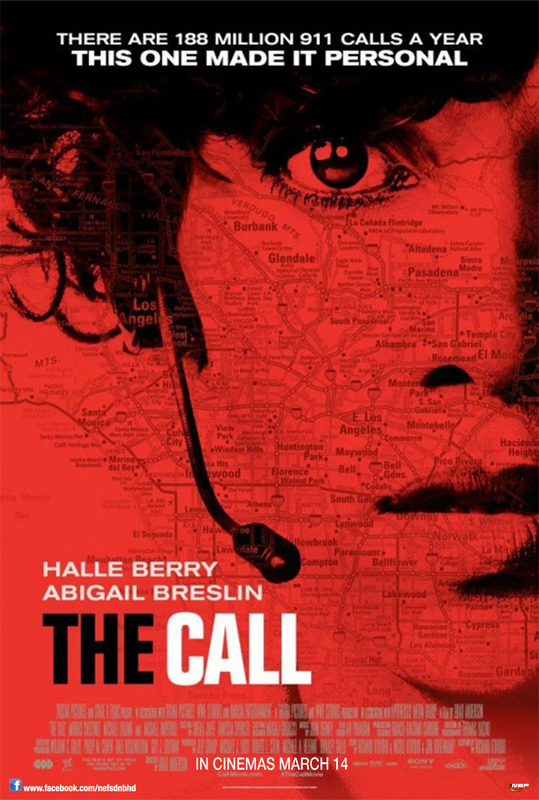 This movie stars Halle Berry (As if you wouldn't have known with her face plastered over 3/4 of the movie poster) as a 911 call operator, Jordan Turner and the all grown up Abigail Breslin as Casey Welson along with Michael Eklund as the psychotic Michael Foster. The Call starts out with a fast pace and features a simple introduction to the characters with a quick gist of what you could expect from the whole movie. It's just a lot of people who have hit dead end and found that 911 is the best place to call into...including from inside the jail when you're drunk. It continues on with what has happened to give Jordan such a huge change in her life from her job to her attitude in things whereby you would wonder if she had just picked up a call or dropped an atomic bomb down some country and killed billions of people only to be washed up with guilt. Give it a quick fast forward and we have Casey Welson being abducted by a psychopath out of no where whom we later identify as Michael Foster. And then the chase begins...with just one phone call. There we have it, a nice and simple synopsis to the movie. So here begins my review. I really enjoyed how The Call gave us an insight to how it must feel like to be in a 911 call center and have to face so many distressed phone calls every single day, some logical, some hysterical and some just down right should be left to die. Yet they do it or at least they do it in the movies because in Malaysia all the phones are probably covered under a sign that says "Out for breakfast / lunch / tea" no matter what time of the day you attempt to reach them. There are touching moments that; with a straight face I would tell you; I teared up and thought about what might have happened if I were in the shoes of Casey Welson. Unfortunately, Kin didn't figure out the fear I had at that moment and just went on to sip on his Coke. "It's just a movie", he says. True, but that would mean that it is a good act if you could actually relate to it. Halle Berry makes a believable call operator in complete turmoil and battling her past but within a few moments she suddenly regains the composure she once had and is a strong woman once again which made the movie a little less believable at a point. Nevertheless, I think she still did a great job especially in moments of desperation for something to be done and yet when the systems and rules kicks in, you're just left with nothing. It's the sad truth that all this actually happens even if it were in real life. I would say it's one of the best in Halle Berry that I've seen although I haven't quite gotten to catch Cloud Atlas just yet but that's probably a whole new story on it's own, right? On the other hand, Abigail Breslin just blows my mind away with her acting because I seriously could recall her well from the movies No Reservations and My Sisters Keeper in year 2007 and 2009 respectively. I've been comparing all three of these pictures and the only thing I am managing is a huge "what the heck has happened?". 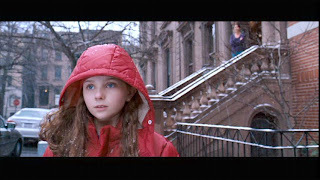 She began as such an adorable little child with such a sweet smile and now she's a girl with notable assets (As you would be revealed to for about a good half hour of the movie) and someone donning a completely different face. That aside, I must say that she delivers a wonderful act in this movie, making you feel for her fear and for her pain that she eventually just wants to die more than live. Some may find her to be a mediocre actress but to me, she's already good the way she is. There are points that she could improve, like probably learn to stop squeaking and hurting my ear drums but that could just be fixed with a little bit of practice to speak properly. Seriously there were moments that I felt like just slapping her. I've been through Google up to Page 10 looking for Michael Eklund's picture. This was probably the best there is and he looks like he's devastated to have shat in his pants. Here's a confession: I've never known of Michael Eklund's existence until this movie and I'm just wondering what's wrong with me because on Google, this guy is nothing but hot. And his body is bloody yummy... I mean, uhm...right. Michael Eklund delivers himself as Michael Foster in The Call; a psychopath with a dark past and a knack for abducting girls while torturing them to apparently achieve his goal...whatever it was. In all honesty, I found him to be actually scary at some point of the movie and later on just plain crazy because of how he appeared to be. Not exactly the most amazing act in the movie, but he makes a decent maniac. Other acts includes Morris Chestnut, Denise Dowse and Roma Maffia who seemingly completes the movie, making it a pretty interesting watch in the end. It hits a 7 over 10 on my personal scale albeit some points taken off for some crazy parts that just doesn't make sense. Nevertheless, it still opens as a great movie, one that you should watch but you would probably go home to worry about not locking your door safely enough. I know I did. Big thanks to Nuffnang for letting me in to the Nuffnang Premiere Screening of The Call. Oh such joy to be able to be here hopefully for a longer period of time.